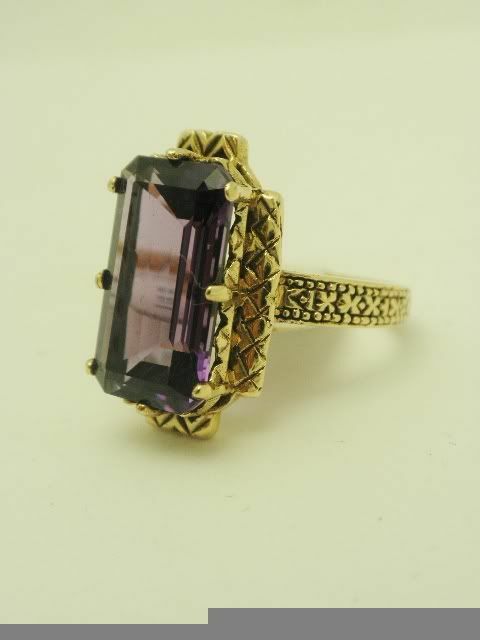 English antique style 10K yellow gold emerald cut amethyst ring. The ring is English hallmarked 375 which equals 10K gold Us standard. 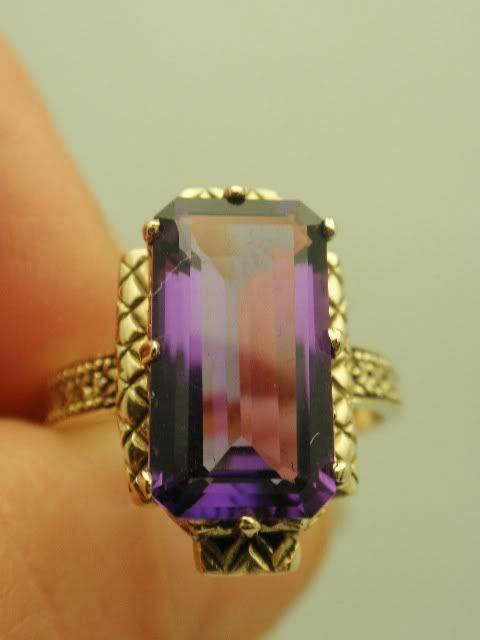 The genuine amethyst is natural untreated with exceptional color and clarity. The stone is approximately 4 carats measuring 14 x 8mm. The ring is heavy cast and measures 3/4" long by 1/2" wide and has a projection of 1/4". 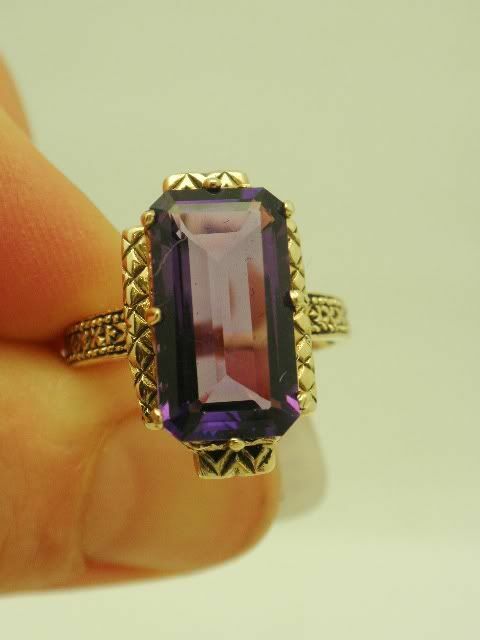 It is currently a finger size of 7 1/2 and can be custom sized for an additional fee by our in house jeweler. 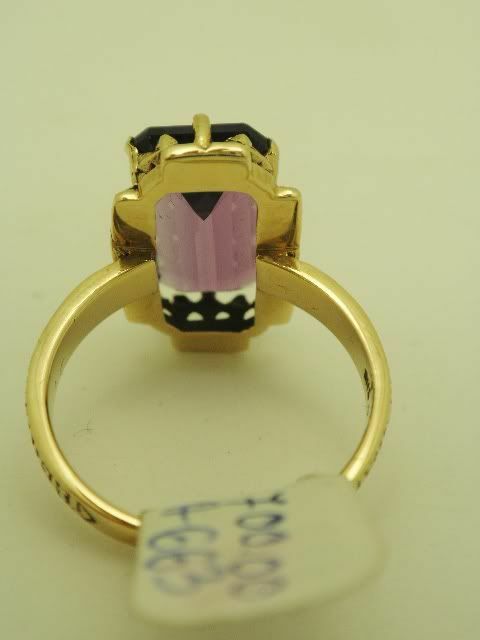 The ring while appearing antique is a vintage copy. The mounting is new and solid in structure weighing 4.7 grams.